Performing endoscopic retrograde cholangiopancreatography (ERCP) in patients with prior Roux-en-Y gastric bypass (RYGB) surgery is challenging. Despite advancements in endoscopic technology, reaching the duodenum and entering the bile duct is still difficult. Laparoscopic assisted ERCP (LAERCP) allows the duodenum to be accessed through the excluded stomach. The objective of this study is to evaluate the success rates and complications in patients with prior RYGB anatomy who underwent LAERCP in a tertiary care center. Consecutive patients undergoing LAERCP between 2005 and 2010 were used for this study. 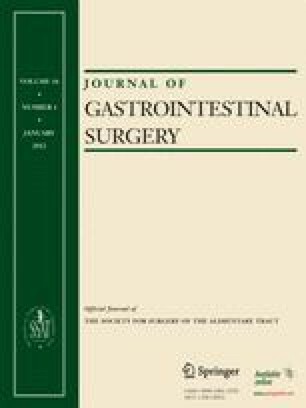 Biliary/pancreatic cannulation, endoscopic/laparoscopic interventions, postprocedure complications, postprocedure hospital stay, and procedure time were observed in this study. Fifteen patients with post-RYGB surgery underwent LAERCP. Endoscopic antegrade access to the papilla was achieved through the gastric remnant in all. Cannulation and interventions in the pancreaticobiliary tree were successful in all cases. Therapeutic interventions included biliary sphincterotomy in 14 and pancreatic sphincterotomy in two patients. There were no postoperative complications related to the endoscopic portion of the procedure. The mean duration of the procedure and the median postprocedure hospital stay were 45 min and 2 days, respectively. Laparoscopic assisted ERC is a useful approach in the diagnosis and treatment of pancreaticobiliary conditions in patients with RYGB. Dr. Todd Baron has been a speaker for Olympus.